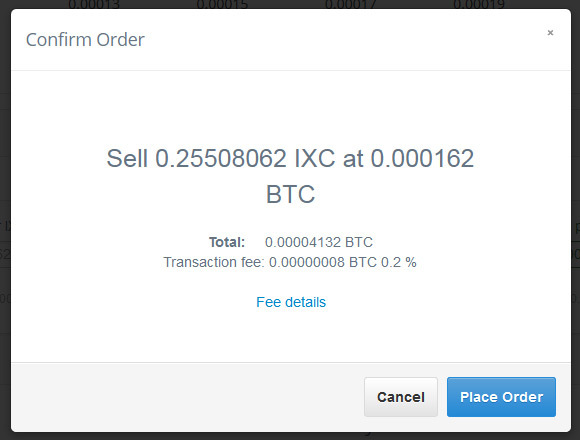 The cloud mining services CEX.IO has added a new trading pair in their exchange, so now you can sell your IXC for BTC directly without having to move them to another exchange. The iXcoin is merge mined with Bitcoin, so you actually get it as a bonus that adds something extra to your Bitcoin profit when mining BTC either with cloud hashrate that you have purchased or by mining at the Ghash.io mining pool with your own mining hardware. The exchange already had Namecoin (NMC) trading and so now the only thing left from the merge mined coins with Bitcoin that needs to be added is the DEVcoin trading. The service has already hinted us that they plan to add USD support to their exchange option that would also allow customers of the service to buy cloud mining hashrate with cash and not only with coins. And with more and more Scrypt ASIC miners starting to hit the market it might not be too long before they also start adding Litecoin cloud mining as an option along the already offered Bitcoin cloud mining option. There are still no dates announced when these features will be made available however. Ixcoin is an open source digital currency, based on the cryptocurrency Bitcoin, which is distributed over a peer-to-peer network to offer irreversible, low-cost, anonymous and decentralized monetary transactions. Ixcoin is the first Bitcoin clone or Alternative chain, created in May 2011 just a few weeks after the distributed DNS Namecoin. Today, there exists many Bitcoin clones.